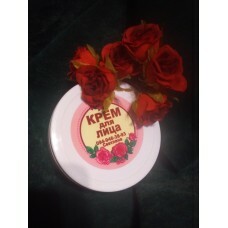 Cream for combined face skin "matiruyuschy." Our cream delicately and gently will take care of your skin, with the help of natural remedies included in its composition. You will provide youth with youth and health. It is intended for complex protection against fat content, as well as from the appearance of acne and redness. Look after your face with our cream. Date seed oil Seed oil dates are ideal for skin care of any type! The date oil in cosmetics allows you to fight with age-related changes, protect and nourish the skin. Such cosmetic products give skin elasticity and silkiness, preserve its healthy appearance. This is the most valuable component in cosmetics! Distilled water The most ideal water is distilled water. Royal jelly Royal jelly is a hormonal nutritional juice produced by bees-nurses. It is considered a biological stimulant, which includes essential carbohydrates, fats, amino acids, fructose, glucose, vitamins B1, B2, B6, C, PP, as well as many useful minerals: calcium, magnesium, zinc, silver and others. The root of the arrowroot The root of the arrowroot due to its absorbent capacity associated with the starchy structure, the powder of the root of the arrowroot is a fine thickening agent of all cosmetic products containing water.